When the 2016 Republican candidates were asked during the second GOP debate about what code names they would choose if president, many took opportunities to get some jokes in — but not Carly Fiorina, whose preferred code name Secretariat was actually a pretty accurate comparison. Fiorina was talking about, of course, the famous racehorse that won the Triple Crown and set a lasting legacy. Secretariat is remembered as one of the most important horses in history, and while that might seem like a tall compliment that Fiorina paid herself, there's definitely some rationale behind it. Consider the heart of Secretariat's legacy: the Triple Crown wins. After her performance in the first two Republican primary debates, Fiorina could be well on her way to her own Triple Crown. A repeat performance at one more debate may seal the candidate's chances at the nomination. And like Secretariat, Fiorina was wildly underrated going into her first major event. No one expected the candidate to come out so strong during the first debate, but she was the hands-down winner. Her success at the first debate launched her ahead in the polls, securing her a spot on the main stage. She's now being declared the winner of the second debate, as well. So come time for the third debate, Fiorina may find herself sitting even higher in the polls. If the Secretariat metaphor is taken literally, some might not think it could apply to Fiorina. The horse was known for sitting leagues ahead of the other competitors — which would more accurately describe Donald Trump, the current front-runner. But this is a long race, and Secretariat came from behind. Fiorina has already passed many of the GOP candidates, and it's still early in the game. 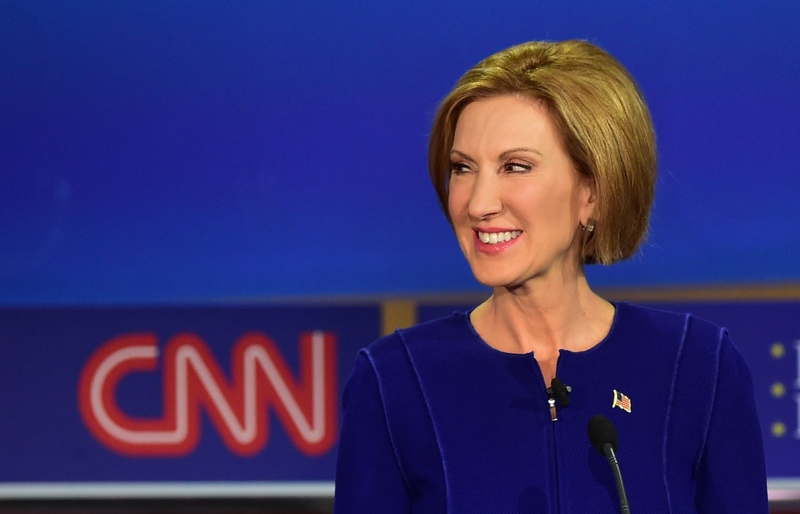 There are less metaphorical reasons why Fiorina may have chosen the racehorse, as well. Perhaps she's just a big fan of horse racing. Or maybe Fiorina thought that the subtle girl power behind Secretariat's success would go nicely with her campaign. The horse was owned by Penny Chenery, one of the first women to be admitted into the Jockey Club in 1984. If Fiorina is truly a Secretariat fan, she knows Chenery's story, and maybe wanted to give a subtle shout-out. Whatever the reasoning, Fiorina's answer seemed far more thought-out than that of many of her colleagues. Like Secretariat, her success will likely leave a legacy. Fiorina's ability to rise in the polls and present herself as a viable, respected candidate may echo for future Republican women thinking of seeking the presidency. Though far less intense than Rand Paul's desire to be called "Justice Never Sleeps," Fiorina's choice may be just as accurate as Trump's own joking code name — "Humble."